The publications will be shown in your own personal library for you to show on your website with marketing messages personalised to your firm. Online Business Library is an impressive knowledge resource, underlining your credentials as a knowledgeable, professional firm. Learn more about Online Business Library. The Chancellor, George Osborne, is set to release his statement on Wednesday 18th March 2015. 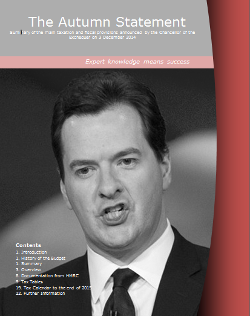 As you know, it’s important to provide your clients with an overview of what the Chancellor says. However you’re busy. At Bizezia we understand how busy you are because we have years of experience in your field. So let us take the work off your hands. Before the end of Wednesday 18th March 2015 you can have a PDF publication containing everything you and your clients need to know from the Budget Summary. This is a great cost and time-effective marketing tool for sending to your client as the work has been done for you. Plus you can distribute the publication once or a million times and the cost doesn’t change. See an example of last year’s publication.